Unilytics delivers mouth-watering intelligence with Tableau! M&M now has the ability to visualize, understand, and react to their critical performance metrics – better and faster. M&M Food Market is Canada’s largest retail chain of specialty frozen foods with over 350 locations across Canada. The newly formed Management Team at head office were keen to enhance the decision support capabilities across the organization, and in particular to help support the largely franchised store network with the tools necessary to improve the customer experience and overall performance of the stores. While M&M brought great food to its customers, its analytics left management hungry for better insights. Data was siloed and not readily available. As a result, team members spent too much time collecting data rather than using it to make timely, fact based decisions. Management understood that consumers are making more informed buying decisions and the organization needed to be fact based and consumer centric to remain competitive. To do that, they needed an effective business intelligence tool that would accurately assess performance to help them gain insights into individual store performance and respond accordingly. To bring this vision to life, the field Operations team was re-aligned to bring greater accountability to store performance in their respective regions and provided with the tools in order to work with the stores to improve performance. As a result, a “store scorecard” was created that would communicate key Consumer, Financial, and Operational metrics nationally, regionally, and by store with comparisons to other stores and to designated benchmarks. This would allow the Area Managers to have fact based, unbiased, and constructive discussions with the stores allowing them to focus on the opportunity areas identified. M&M’S had already purchased Tableau Software licenses but discovered they didn’t have the resources or specialized expertise to devote to this complex project. The requirement was to integrate data from several databases, over many years, and covering all stores. M&M selected Unilytics to provide SQL database and Tableau expertise to produce the requisite dashboards. Construction of the scorecard was far more complex and laborious than even M&M anticipated. It required processing and summarizing hundreds of millions of rows of sales data across several calendar years; Unilytics wrote 1,200 lines of SQL and created almost 800 calculations in Tableau. Not only were Tableau visuals created for M&M, but a number of pieces of database infrastructure were put in place to pre-process these hundreds of millions of rows of data that resided in Microsoft SQL Server databases. This pre-processing consisted of a variety of stored procedures, user-defined functions, intermediate summary tables, views, etc. All of this pre-processing was designed to run on a daily basis and without DBA effort or interaction. To satisfy management reporting requirements, dashboards were built to roll up to store-level data and compare that to both regional and national benchmarks. This has equipped area managers with the insight to better guide store owners on sales performance and other actionable KPIs. A number of visualization approaches were used to render sales performance data (e.g., bullet charts), customer satisfaction surveys (e.g., net promoter score), administrative review data (bar-in-bar charts), and tabular store-level physical data (e.g., footprint, geolocation, cost, etc.). Many of the visuals allow for interactive drill-down and all is provided within 5-6 second rendering times. Unilytics selected a primary design approach to build the scorecard so that any level of detail was available within three or four clicks (or taps). This ability to zoom in from the highest possible level all the way down to raw tabular data with minimal effort allows area managers to meet with franchisees to discuss opportunities to improve their stores performance in a fact based and unbiased manner. This scorecard allows the Area Managers to be true business partners to the store network. Results – M&M now has the ability to visualize, understand, and react to their critical performance metrics – better and faster. They can take action to improve performance on a store by store basis – where it matters most. 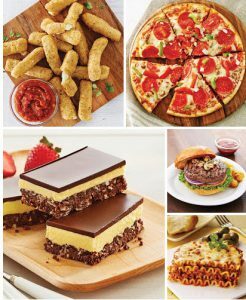 M&M Food Market is proud to be Canada’s largest retail chain of specialty frozen foods with over 350 locations coast to coast. They offer a selection of more than 375 products including: hors d’oeuvres, desserts, gourmet meals, along with a wide variety of steaks, chicken and burgers. Their mission is to “help our Consumers make Real Food for Real Life”.